1. Power On: Put the drone in a flat surface area and plug the LIPO battery to power on. Then power on the remote controller. Note: Keep the antenna of the remote control and the head of the drone in the same direction. 2. Synchronization: Push the left throttle forward and then back. 3. Direction Calibration: Push both joysticks in the southwest direction for 2 seconds. 4. Drone Start: Push both joysticks in these / directions at the same time, the four propellers start to rotate. 5. Take-off: The drone will begin to fly when you push the left throttle forward slowly. 1. Q: Can I view the camera on my phone during flight? A: You will not know what you took a picture of until viewing the results on home computer or mobile unit with SD card access. 2. Q: What can I do if the drone is out of control? A: The drone would automatic slow down in no wind situation if out of control range. Restart it and synchronize again. 3. Q: Drone can’t lift up? 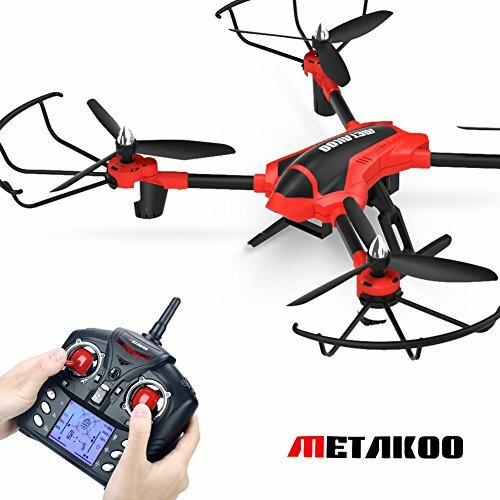 A: Check the battery power juice of the drone and controller; Make sure the propellers are installed correctly.